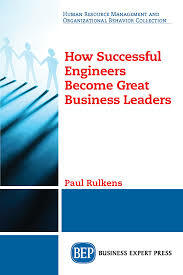 High performance expert Paul Rulkens provides the inside advice you need to accelerate your career as a business leader with an engineering background-from building on your unique strengths to achieving big business goals. How Successful Engineers Become Great Business Leaders is full of thought-provoking insights, practical applications, and pragmatic techniques to help you get everything you can out of everything you have. You don’t have to be ill in order to get better. Whether you’re an experienced business executive, corporate manager, or ambitious professional, this book will show you how to apply your specific engineering strengths to: Maximize your skill and talent to accelerate your career; Grow your business with the least amount of effort; Set and achieve ambitious business goals; Focus on strategic quitting to raise the performance bar; Avoid behaviors that mask your strengths; Create a high-performance execution culture; Improve your own executive judgment; Build long-term client relationships; Develop a blueprint to become an unstoppable goal achiever. The road to business success for leaders with engineering backgrounds is common and predictable, but not always obvious: There is a method to the madness. This unique book will show you how.